After a storm comes a calm. However, as expected, it always leaves its marks. For example rain drops, which inconspicuously dribble down the greenery. In some places, this shower will stay for a longer period of time. 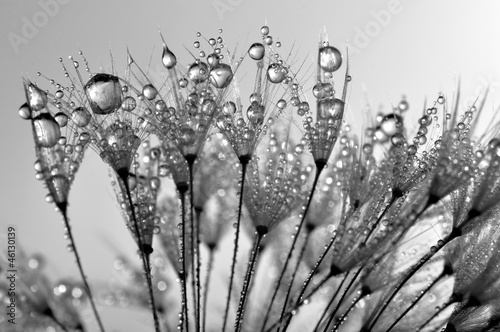 A photo wallpaper with a motif of a dandelion covered with dew will greatly enliven the entire room.